On the track, the battle for supremacy between Lewis Hamilton and Sebastian Vettel is always intense. Away from the Formula One circuits, though, the two rivals clearly have a mutual respect, as seen by a gesture posted by F1's official Twitter account following the season-ending Abu Dhabi Grand Prix. 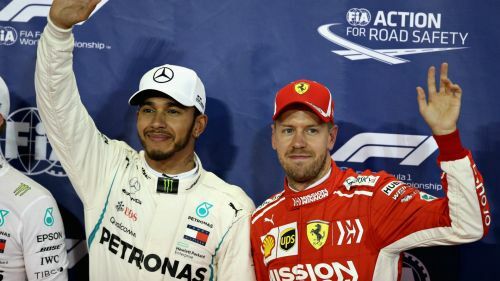 It was another dominant year for Mercedes driver Hamilton, who won a fifth world title, with Ferrari star Vettel once again having to settle for second best. The two offered a heart-warming gesture, though, swapping race helmets in a manner similar to how footballers exchange jerseys at the end of a game. "It's actually the first time we've swapped helmets I think," Vettel said. "Five championships is a great achievement. I hope I can stop you winning more!" Hamilton joked: "You've got a small helmet! I'll not be able to use it, you'll be able to fit mine on." An Ode to a five-time world champion: why Lewis Hamilton is an all-time great? Did Russia ever belong to Hamilton?